Fitness doesn’t only means making your body physically fit and toned but also includes it to be healthy from inside. 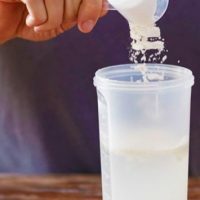 Almost everyone who is into fitness, athletics, sports, or even weight management has considered using supplements to help them in their journey towards their goal. But the most difficult task is to select the type of Fitness Supplement that fits your need. With the industry of supplements ever growing, it now becomes near to impossible to choose amongst those hundreds of brands. This is where TabletShablet comes, we sort through the market and after thorough research brings to you all the best brands, all at the comfort of your homes. And to make your experience worth a while, we have categorized all these Supplements into 2 categories. Whey is one of two types of proteins found in milk besides casein and is a by-product of the transformation process of milk into cheese. As we know that protein is the building block, that’s why it is widely used by fitness enthusiasts. It is a high-quality protein, containing all of the essential amino acids required by the body. It is highly digestible as compared to other types of proteins. We offer one of the top brands of Whey Protein like Muscleblaze, Inlife, all in different flavours and according to your requirements. Our body needs essential nutrients and minerals for its constant growth and development. In this hectic world, one forgets to pay attention to their diet and health, which ultimately leads to diseases and deficiencies. So, it is essential to fulfill your body’s need for nutrients. 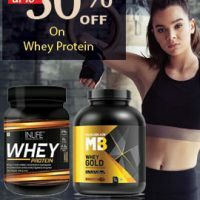 We offer a range of Supplements to choose from like Himalayan Organic Kale Powder, Muscleblaze Glutamine Powder, Albumen Care, Resource High Protein Powder, etc. to fulfill your body’s daily needs.